Welcome to the first installment of a new series of articles: Movies Coming Out This Week! These articles will cover exactly what that name implies: movies that are hitting theaters and limited releases (whether they have limited engagements in mind or are avaiable to watch on-demand). This Valentine’s Day weekend sure may be a crowded one. After the debut of The Lego Movie 2, Cold Pursuit, and What Men Want, this upcoming weekend will have four different movies seeing a wide theatrical release. At least there will be a wide variety in terms of genre. The long awaited anime adaptation finally hits the big screen this weekend. Originally announced back in 2003, production on the film was continually delayed due to Cameron’s work on Avatar and its (four!) sequels. After years spent in development hell, director Robert Rodriguez was announced to helm the film in 2016, and his vision of the movie is finally being released. Though Cameron has taken nearly two decades just to complete two films, Rodriguez has been a bit more active – though some may argue that he hasn’t helmed a great film since Sin City back in 2005. 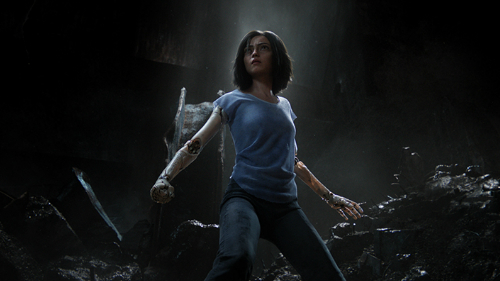 Cameron and Rodriquez have both expressed their passion for the film’s source material, but that hasn’t stopped Alita: Battle Angel from receiving mixed reviews. Praise has been given to the film’s visual effects, action sequences, and performances, but the majority of the criticism seems to fall on the movie’s screenplay. So if you were looking forward to an anime adaptation that broke new ground, this film probably isn’t going to be the one. 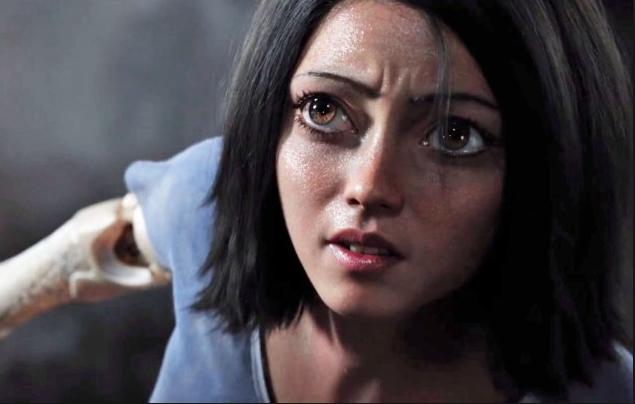 Alita is a robot who was found in a scrapyard by Ido, a compassionate cyber-doctor. When Alita awakens, she has no memory of her past. Though Ido tries to shield her from her own mysterious past, Alita learns that she may be a simple mechanical weapon, and that she must fight to protect the people she’s grown to care about. Though the premise of Happy Death Day basically felt like a horror rip-off of Groundhog Day, the movie itself was entertaining enough to gather a surprising amount of praise. The movie went on to earn $125 million worldwide on a $4.8 million budget, so naturally, a sequel was put into development. Blumhouse – a studio that knows how to turn a profit with movies made on a low-budget – raised the sequel’s budget to a mere $9 million dollars, so just about any amount of money that the movie makes will inevitably make a profit for the successful studio. 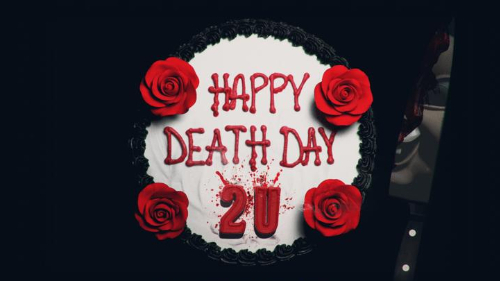 With the same writer-director returning, along with the same cast and crew, hopefully Happy Death Day 2U can earn the same critical response as it’s predecessor. After stopping her serial killer from repeatedly murdering her on the same day, Tree Gelbman once again finds herself trapped in a deadly time loop. Only this time, her friends are trapped in the loop as well. They’ll have to work together to find out who the real killer is if they ever wish to escape. Though it shares its title with a 1948 film of the same name, Isn’t It Romantic is actually the only original wide-release movie on this list. The genre alone should be enough to financially carry this movie over Valentine’s Day weekend, seeing as how it is the only film to explicitly be about romance. 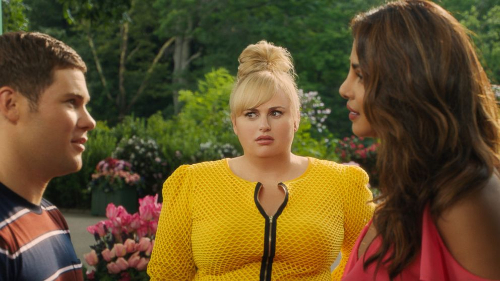 Rebel Wilson is a recognizable name, and she’s even starred in a Valentine’s Day opening film before with 2016’s How to Be Single. And for anyone who lives outside of the U.S. and Canada, Isn’t It Romantic will be released internationally on Netflix on February 28th. After getting knocked unconscious, Natalie wakes up to find that everything in her world has magically changed to play out like events found in a romantic comedy. Though Natalie has a cynical view on love, she wouldn’t mind finding her own “happily ever after,” but she must first learn to escape this odd new world. This movie is a biographical sports film based on the 2012 documentary The Wrestlers: Fighting with My Family. Both films depict the WWE career of professional wrestler Saraya “Paige” Bevis. Being produced by WWE Studios, it’s not hard to view this film as a simple branding gimmick for WWE. However, Fighting with My Family currently holds a 90% rating on Rotten Tomatoes, so perhaps there is some heart to be found underneath all of the WWE branding. 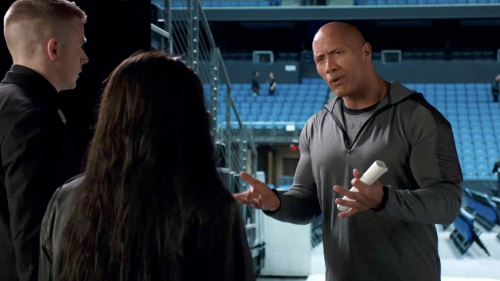 Starring Florence Pugh, Jack Lowden, Nick Frost, Lena Headey and Vince Vaughn, the film is executive produced by none other than Dwayne “The Rock” Johnson himself (who has a supporting role as himself), and is written and directed by Stephen Merchant. Fighting with My Family will have a U.S. release on the 14th, and a U.K. release shortly after on the 27th. Born into a tight-knit wrestling family, Paige and her brother Zak are ecstatic when they get the opportunity to try out for the WWE. But when only Paige earns a spot in the competitive training program, she must leave her loved ones behind and face this new cutthroat world alone. A New Zealand sci-fi/comedy film that follows a low-level criminal who steals an ancient Chinese time-travel device. A movie that involves a young woman taking care of an adorable pug that she initially didn’t want. C’mon, who can resist a pug in a tux? A grim look into America’s underbelly where a struggling ex-marine must fight in a bare-knuckled brawl for a shot at the $100,000 prize. Though the film has gained mixed-to-negative reviews, it features some great talent, including Frank Grillo, James Badge Dale, Jamie Bell, and Margaret Qualley. What movies are you looking forward to? Let us know in the comments section.